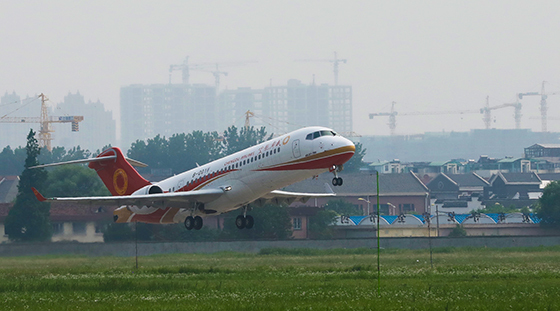 ARJ21 AC112 completes first production flight test__Commercial Aircraft Corporation of China, Ltd.
ARJ21 AC112 successfully completed the first production flight test on May 28th, 2018. ARJ21 AC112 successfully completed the first production flight test after a flight of 1 hour and 6 minutes on May 28th, 2018. 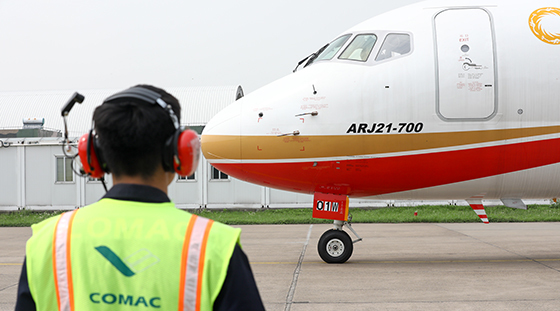 This is the second ARJ21 aircraft conducting first production flight test in this month. Crew members of this flight test include Test Pilots Liu Ke and Wu Xin, and Flight Test Engineers Fan Zhubin, Wu Guangbo and Yin Xiangtao. ARJ21 AC112 took off from Dachang Airbase at 14:51 on the same day. 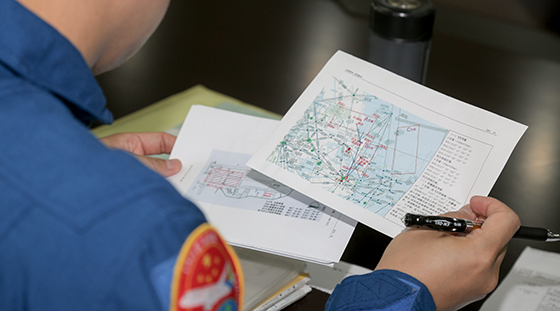 During the flight, 27 test points of autopilot, flight control system, landing gear emergency release system, communication system and Stall Protection System (SPC) were inspected, and relevant interior noise tests were completed. The aircraft returned and landed safely at 15:57 with satisfactory performance. The aircraft was ready for take-off on May 28th, 2018. Careful preparation was made on May 28th, 2018.